IFPAC®-2019 will be held in North Bethesda, Maryland (Washington D.C.) at the Bethesda North Marriott, 5701 Marinelli Road, North Bethesda, Maryland 20852, USA. The Bethesda North Marriott is located in one of Washington, DC’s surrounding suburbs, close enough to all that you want to see; yet more comfortable and accessible than other metropolitan locations. Adjacent to the Metrorail’s Red Line, the entire greater Washington, DC area is within your reach. 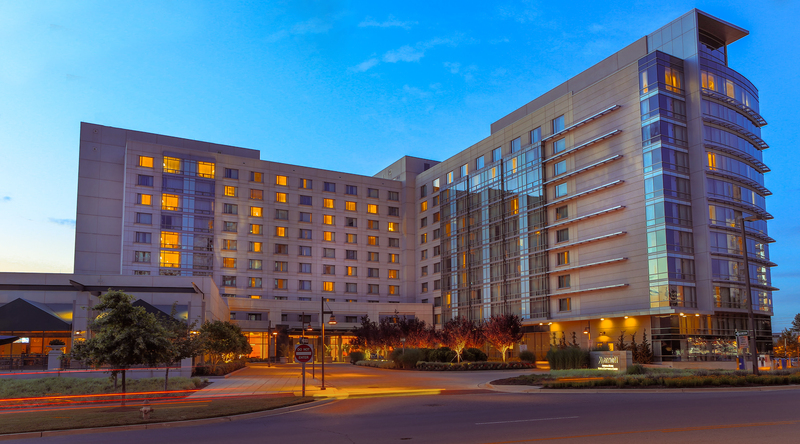 With our proximity to the I-270 Technology Corridor and the restaurants and activities of downtown Bethesda, our hotel is the perfect location for both work and play. The possibilities are endless. Conveniently located near the White Flint Metro Station, guests enjoy easy access to downtown Bethesda, Rockville, Washington, D.C. and northern Virginia attractions. TAXI Service is available to Bethesda North Marriott from Ronald Reagan Airport, Dulles International Airport, as well as Baltimore Washington International. The Metra also runs from Ronald Reagan Airport to the White Flint Station, just across the street from the Bethesda North Marriott. ALERT: Please be aware of unauthorized housing companies that may contact you by phone or email offering "deals" on an IFPAC event hotel. These companies make a business of scamming conventions. They are not an authorized housing provider for IFPAC. This practice, also known as "room pirating", is a scam that all conference attendees should be aware of in order to avoid passing along personal and financial information. If you were solicited by someone stating they were authorized to make you a reservation for an IFPAC event, we recommend you call the hotel directly to be sure you have a reservation.